Posted byAtulHost	 8th Aug, 2018 8th Aug, 2018 Leave a comment on How Much Does Web Development Cost? The cost of web development varies significantly from country to country across the globe. If you ask how much does it cost to hire a web developer, it will be very difficult to answer without naming a particular country. Moreover, remote web developer salary can vary a lot too. If we look at the online website landscape, there are more than 190 million active websites on the internet. Despite this huge number of active websites, more than half of the businesses across the globe are not using websites as of now. There are many different factors that influence the web development cost as mentioned in this article. This piece of writing will be very useful in providing you with a deep insight on the web development market, the demand of web developers for the most popular web domains, factors influencing the website development costs, and how web developers solve your business problems efficiently. A large number of factors determine the cost of developing a website; so it is not easy to predict 100% accurate web development cost. But, in general, the average cost of a medium size website with standard features may cost in the range of $5,000 to $10,000. For large and multi-featured websites may cost in the range of $50,000 to $100,000 or even more in certain cases. What Factors Influence Web Development Price? A website is the most fundamental platform for an online business presence, which showcases your business effectively in different ways. The cost of developing an effective and efficient website depends on numerous factors as discussed below. This is one of the most fundamental factors that influence the cost of your website tremendously. For example, if you want to use any content management system (CMS) for developing the website with the standard features and functionalities, it will cost you less. But, if you want to use a custom website with many customized features and functionalities, it will cost you more. The size of a website influences the price; every page incurs cost in terms of designing, content, optimization, and testing. So, the smaller the website, the lesser the cost! And the larger size of website costs more. The website design is another critical factor that influences the cost of a website development. For instance, if you take the measure of all factors that create a great user experience (UX), you need expert designers and specialized tools. The responsive designs are the need of the day due to mobile devices and search engine optimization, and all those factors increase your website development cost. How to make a website that integrates with the company database server, processes the real-time interactions, handles the rich multimedia content, and implements eCommerce and other tools to create a great user experience? To address this level of complexity in a website and to create a responsive design, you will need the services of both front-end and the back-end developers. Thus, the cost of the website will multiply. The simpler the website the lesser the cost! As we know, the power of social media and online marketing leave a huge impact on the outcome of an online business by improving the user experience and business outreach. You need to add numerous modern functionalities with the help of either in-house web development or through CMS plugins to make your website more efficient and productive. Adding all those functions, social media capabilities and digital marketing components add to the price of the website development. Before you start developing your website, you will need a domain name and hosting server. You can build free websites on numerous website hosting platforms, but there will be some kinds of limitations, which will leave an undesirable impact on your business. So, it is always a good idea to rent a paid space on popular website hosting platforms. It will increase the cost of your website, but it will pay you back significantly. SEO has become an integral part of web development nowadays. You need to implement on-page SEO as well as offsite SEO policies. Both strategies add to the cost of web development, if you assign the same to the front-end developer, otherwise, you will have to hire a separate SEO professional to make your website visible to the online world. What Are Major Web Development Projects in Demand? According to the EDC & GoDaddy web developer survey in 2017, more than 80% of the developers reported more than 25% of client growth in the businesses spread in multiple domains of web development industry. This report further elaborates the major web development projects in high demand, as mentioned below. The retail shop web development projects are in high demand across the globe. The ratio of the projects related to retail shop stands at about 29% of all web development projects. A huge growth in the web developer salary is also noticed in this domain of web development. With over 26% of the web development projects related to travel and tour make this domain as the second most category of web development in big demand across the globe. Like other projects, this web development domain contributes substantially to the remote web developer salary globally. Creative web development projects stand at the third position in terms of their global demand. The ratio of creative web projects is about 21.4%, as per the survey cited above. India leads in this domain with over 26% of the projects followed by the USA with a little over 25% of the global projects. Normally, the creative projects under the belt make the web developer portfolio more powerful and reputed. The education & training web development projects are high in demand due to fast-changing technologies and increasing population of the world. The demand for educational projects stands at about 21% globally. A large ratio of the web developers is consumed in the real estate web development projects all over the world. According to the IDC survey, the demand for real estate projects stands at about 20.8%. The major contributor to the demand for the real estate project in Brazil. The demand for front-end developers with expertise in rich content management is very high in this domain of projects. Other than the above-listed projects, the web developer career has a huge scope in the fields of health, food, fitness, photography, NGO, and others. What Are Major Kinds of Web Developers in High Demand in Market? According to the Modis job market forecast, there will be a huge growth of over 27% in the web development jobs by 2024. The web interface designers, web application developers, and web software developers will remain the major categories with the highest demand. Let’s have a look at the major web development roles, which are in high demand in the marketplace. The web developers with expertise in the user interface (UI) and user experience (UX) designing are highly demanded in the web development field. 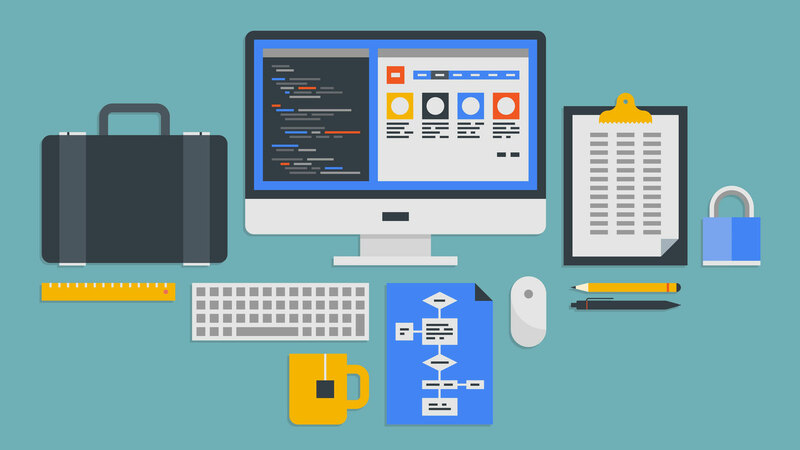 The major employers of UI/UX designers include the software companies that offer remote website development services, the freelancing web development services, and traditional hiring by the large software houses. The demand for frontend developers with expertise in wireframe, CSS, HTML5, mock-ups, and graphics is very high in the market. At the time of writing this article, more than 24,000 frontend developer jobs were available on the Indeed job portal. The demand for eCommerce developers for website development services is consistently high for many years now. It will remain high for many years to come too. The total size of global eCommerce sales is expected to reach the $4,878 billion mark by 2021. The major tools for eCommerce developers include Magento, WooCommerce, BigCommerce, Shopify, and others. Another type of web developer role in high-demand is the data scientist. In the modern web development, you need the features of data statistics, and business intelligence capabilities in your website, web application or even the mobile application for eCommerce, retail, food, travel, and other websites. So, the data science developers are becoming one of the highly demanded roles in the marketplace. The average cost of a website development. The major factors influencing the cost of website. The main types of developers that are in high-demand. The major types of web development projects in high-demand. How your business can benefit from the web development services.